Aveeno® is a brand I first used back in 2004/5 when I was living in America – the brand is HUGE in the US and as someone whose happy place is browsing the aisles of a US drugstore it was one that was affordable for me as a student but worked for my dry skin. As such it’s a brand I have a real soft spot for – the whole range is formulated to help soothe skins prone to dryness or sensitivity so it really is perfect for me. I have the worlds driest skin (possible exaggeration) so daily moisturiser is pretty vital for me. Or else my hands/body and face very quickly feel tight and uncomfortable. Over the years I’ve realised a few things about what I like – in particular when it comes to body products – as I want something hydrating and soothing, that smells nice and really leaves a lasting level of moisture on my skin. But ideally one that doesn’t feel heavy or like it’s just coating my skin at the same time. Essentially I want something as hydrating as a body butter, but not a body butter – that level of moisture, but without the heavy feel. Over the last few months I’ve also been really interested in ingredients – realising there are some things that work for me and others that don’t – not so much in terms of reactions, but more just how my skin feels when using a product. If I don’t like the feel then I’ll quickly give up using it. 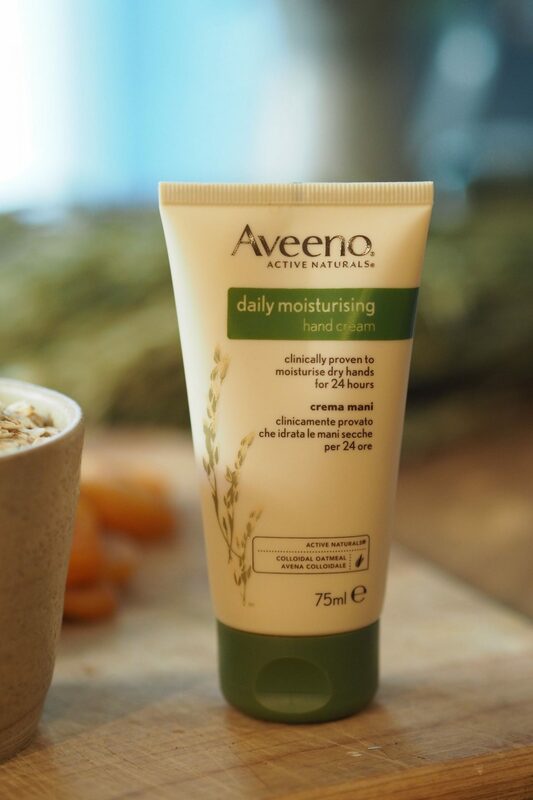 The new Aveeno® range harnesses the colloidal oatmeal that is its signature – an ingredient that is actual oatmeal very very finely ground into a powder and added to the formula. Something I always wondered about how they did it – but when I attended a recent Aveeno® event all about this new range one of the fab product experts from Aveeno® explained this to me. In addition to the signature soothing oatmeal the new range includes yogurt concentrate. Yes really! Yogurt concentrate has been added to the formula as it’s a nutrient rich ingredient. Of course this new range means you don’t have to slather your body in a pot of the stuff straight from the fridge. That would be potentially messy, sticky and a bit gross. 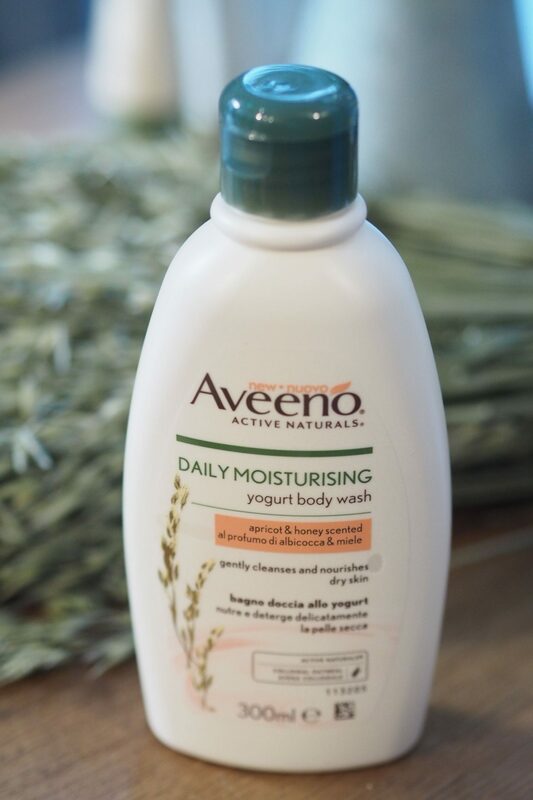 The new Aveeno® range includes a ‘Body Yogurt’ (my favourite) and a Yogurt Body Wash. Each in two scents – Vanilla & Oat scented, and Apricot & Honey scented. I actually thought I was going to like the Vanilla & Oat the most and whilst I do like this one – it’s ideal if you want something that doesn’t interfere with perfumes. The Apricot & Honey one is SO good. Almost good enough to eat. Fresh and fruity but not too sweet or overpowering. 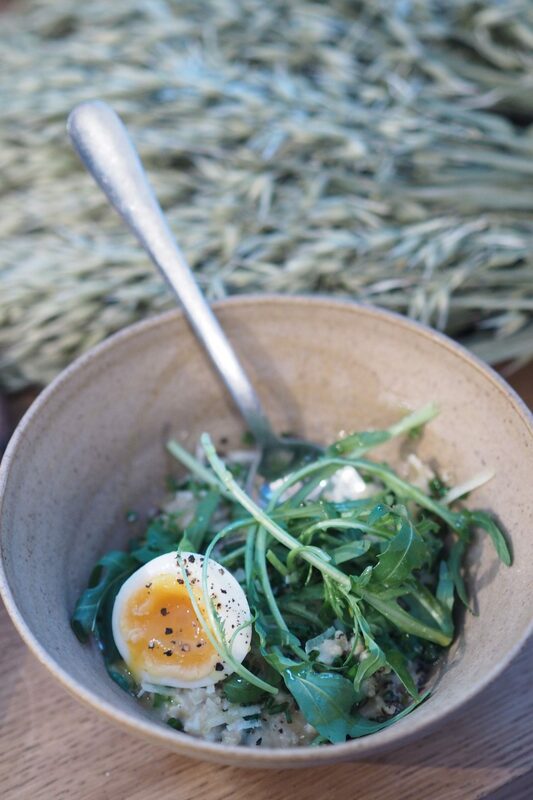 To celebrate the launch Aveeno® teamed up with 26 Grains in Neal’s Yard to create two recipes inspired by the new products. Both of which I got to taste at the event and they were yummy. 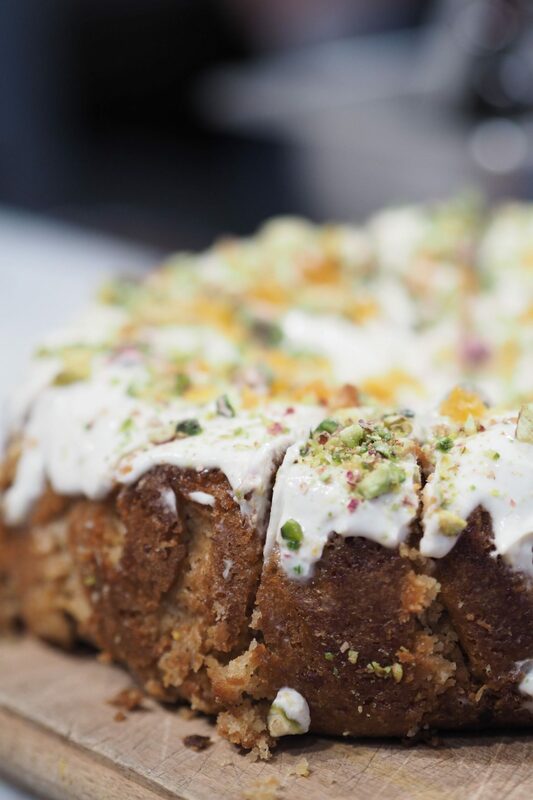 Both full of amazing ingredients, delicious and healthy. The grain with poached egg option was my favourite. If I could have that for breakfast every day I’d be a happy girl! I’ve included the recipes below for you as a little ‘nourish your body’ inside-out inspiration. As an added bonus add a poached egg on top as they did at the launch event – it makes it extra delicious! But if the outside nourishment is what you’re after I really recommend trying a pot of the Aveeno® Daily Moisturising Body Yogurt. It’s really hydrating but feels light and absorbs quickly. Plus it smells SO SO good. Did I mention it smells good? !